Enjoying time on a beautiful horse trail is more than just time away from a busy schedule, work, and the daily trappings of time. It is a lifestyle. It incorporates a big part of who you are. If you are one of the many passionate about horseback riding you understand what this means to you. To take part more fully in the joy of riding, folks look to the many beautiful horse rides and trails that traverse the country. From east to west, there are a number of great rides and people who care enough about the ride to create Trail Associations, so that many can enjoy this lifestyle. There are a number of Trail Associations that take great pride in dedicating their efforts into providing and preserving equestrian trails in many different areas. Over time, riders feared losing trails to land developers. Adding to that concern were landowners who were concerned about liability issues. The impetus behind much of this effort was to establish and keep trails open. With that in mind equestrian enthusiasts have worked together with individual developers and land owners to create many of these horse trail associations. The southeast area of the country, in particular, has a number of well-organized trail associations. Each provides a variety of riding areas fully equipped with some of the most striking scenery along with well-maintained trails. Together they make for some of the most enjoyable horse riding experiences available anywhere. Take the Chattahoochee Trail Association as an example. Created in 1991, a few passionate horseback trail riders wanted to create their version of the Appalachian Trail. Thus was born a system that interconnects multiple trails through the Chattahoochee National Forest. Primarily responsible for maintaining trails along North Georgia’s public lands, they have one common trait with other associations. That is to support the future of horse trails, encourage new experiences, and create lifelong relationships with others who share the same passion. Other horse trail associations center on both public and private land. The Sauratown Trail Association is a unique section of the North Carolina Mountains-to-Sea Trail that works with local private landowners to create and sustain trails on their property. Located in the north central part of the state, it is used by both equestrian aficionados as well as hikers. 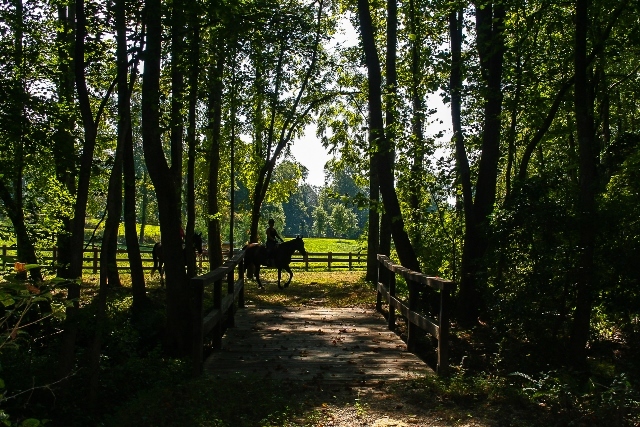 The Shenandoah Trail Riding and Horseman’s Association is an example of combining public and private land for some of the most beautiful trails east of the Mississippi. 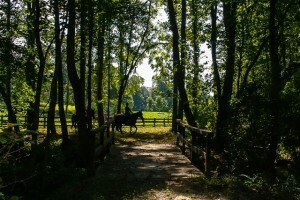 Much of the activity involves riding through the George Washington national forest, however, some of it also works its way through private property in the area. The Georgia Pinhoti Trail Association is a multi-use trail for equestrians, hikers and off-road bicyclists. 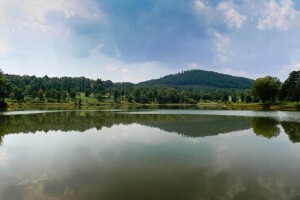 This connects long-distance trails in Alabama to the Appalachian Trail, via the Benton Mackaye Trail, which is located in North Georgia. The Pinhoti Trail covers a wide stretch from the Talladega National Forest in Alabama through north Georgia and into the Appalachian Trail, traversing through private lands, as well. The Foothills Equestrian Trails Association is exclusively through privately owned lands. Centered mostly in Polk County in North Carolina, these trails date back to paths used by Native Americans. They were also used by settlers seeking new lands as they headed west, as well as in the early part of the 20th century, when folks started flocking to the Tryon area seeking all kinds of great hunting. Most members of this association are local residents who want to preserve the historic nature of the trails and who share the equestrian lifestyle. Working together with other local groups the idea is to keep up the trails for others to enjoy and pass along to future horseback riding devotees. The Collinsville Equestrian Trails Association covers a few thousand acres in and around the Collinsville Farm District area in the Polk County region of Western North Carolina, as well. Family oriented, this association brings together both equestrian riders and non-equestrian neighbors. Started in 1998 by a group of landowning riders, they approached others in the area about sharing and protecting existing trails. Over the last fifteen years, additional acreage was added to the trail system as the equestrian fervor grew. Being a part of any of these associations brings together those passionate about riding and preserving trails for both present and future generations. 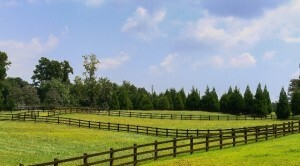 In addition, these trails provide a wealth of opportunity to incorporate the equestrian lifestyle right in your own backyard.